Home Politics DELTA STATE 2019: Delta PPA Governorship Candidate, O’diakpo Obire Flags Off Campaign. DELTA STATE 2019: Delta PPA Governorship Candidate, O’diakpo Obire Flags Off Campaign. 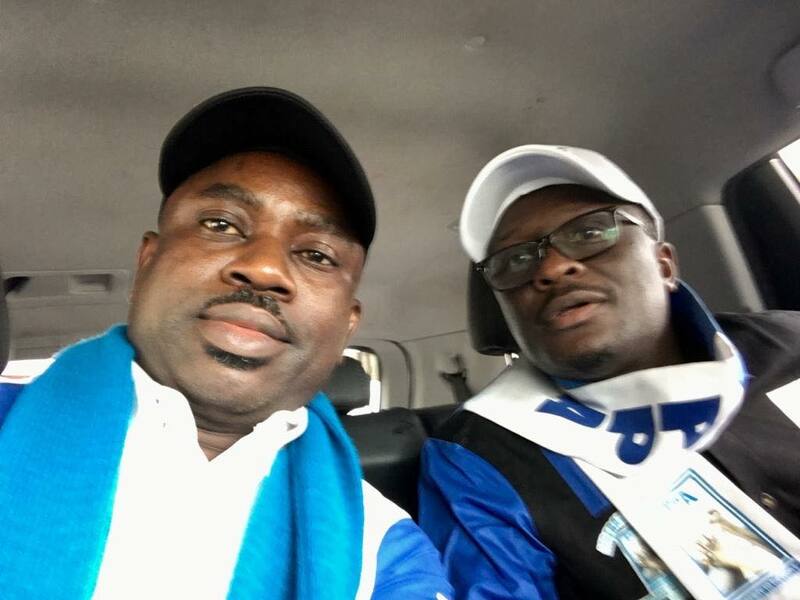 O'diakpo Obire, PPA Governorship candidate, with his Deputy, Rex Biose. Ahead of the March 02, governorship election, the Delta State Progressive Peoples Alliance (PPA), candidate, Dr. O'diakpo Obire, in conjunction with the Delta State PPA campaign organization, has flagged off his campaign with a solemn pledge to tackle the issues that have held the State back from attaining its full potentials and meeting the yearnings and aspirations of the citizenry. Dr. O'diakpo Obire and his running mate, Engr. Rex Biose, during the flag off of the state-wide campaign at Warri, headquarters of Warri South Local Government Area, expressed the belief that, with the right leadership in place, Delta State can attain glorious heights in infrastructure and sustainable development. Flanked by the State chairman of PPA, Mr. Fred Obi, National and State Exco members, including party faithful, Dr. Obire said, "it is time for Deltans to keep faith with my economic agenda to create job opportunities for the teeming youths and render desired social services for the people". He assured Deltans of an unprecedented and rapid development across the State, if voted in as the governor. Also speaking at the event, the Delta State PPA chairman, Mr. Fred Obi urged Deltans at large to support the governorship candidate and other candidates of PPA in the forthcoming elections. The event featured the presentation of the governorship flag to Dr. O'diakpo Obire by the National Chairman of PPA, Chief Peter Ameh, ably represented by the Deputy National Chairman, Alhaji Mohammed Inuwa Wada. "Dr. Obire is the choice of the people for governor of this great State. His passion for Delta to attain sustainable development is unparalleled and unprecedented. With his innovative programs in his manifesto, Delta State will witness rapid and sustainable development, if he is elected. I urge Deltans to massively vote for him"
Addressing the mammoth audience after receiving the flag, Dr. Obire declared that, "this flag marks the beginning of electoral victory for our party. I wish to assure you that a new Delta will emerge under my leadership. Building resilient infrastructure and rendering world class social services is no rocket science. It is my solemn pledge that I have the will, and the capacity, and the passion to transform this State in a matter of a few years to the admiration of all", he concluded.